Their presence at this event consolidates their promotional efforts in the romance segment; there were more than six thousand end consumers and over 300 exhibitors including providers, travel agencies and destinations within Mexico. 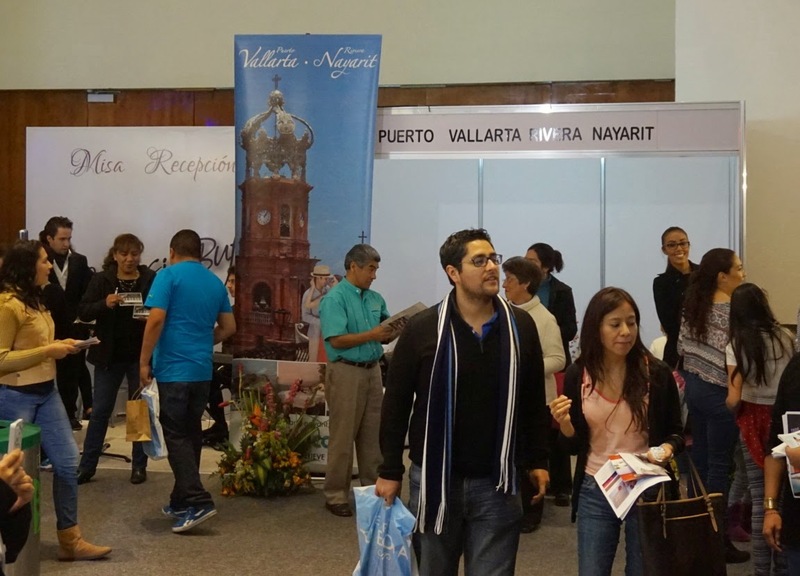 Mexico City’s World Trade Center hosted Expo Tu Boda 2015 from February 13-15, with the participation of the Riviera Nayarit Convention and Visitors Bureau and the Puerto Vallarta Tourism Trust, as well as area hotels. Their presence in this important expo was due to the excellent results and high demand in the romance segment for both destinations; there were over 6,000 end consumers there looking to plan their upcoming weddings, anniversaries or honeymoons. Expo Tu Boda had an excellent attendance rate during its three days of exhibits. There were approximately 300 exhibitors including providers, travel agents and destinations within Mexico. Among the Riviera Nayarit’s participating hotels were the Grand Velas, Grupo Vidanta, Grupo Marival and La Tranquila. The representatives were able to strengthen the romance segment and highlight the Riviera Nayarit and Puerto Vallarta as exceptional destinations, with quality services and facilities that are perfect for beach weddings; world-class hotels and restaurants; and high-octane adventure and ecotourism activities. During the event visits by couples were encouraged to this region, which is recognized worldwide for its charm and its romantic atmosphere framed by mountains, rivers, and the exceptional sunsets of the Mexican Pacific, not to mention its idyllic locations and gastronomy. Expo Tu Boda has catered to women who are immersed in romance for the past 23 years with exhibits and digital platforms to help them find everything they’ve ever dreamed of for their special occasion. The expo has over 110,000 yearly visitors to its different events around the country and gathers hundreds of millions of impressions thanks to its advertising, public relations and direct marketing campaigns. These are some of the reasons why the Riviera Nayarit and Puerto Vallarta consider it important to maintain a presence at the event.